The Standing Stone: Rathbeg, Ring-Barrow, Toberrory, Co. Roscommon. 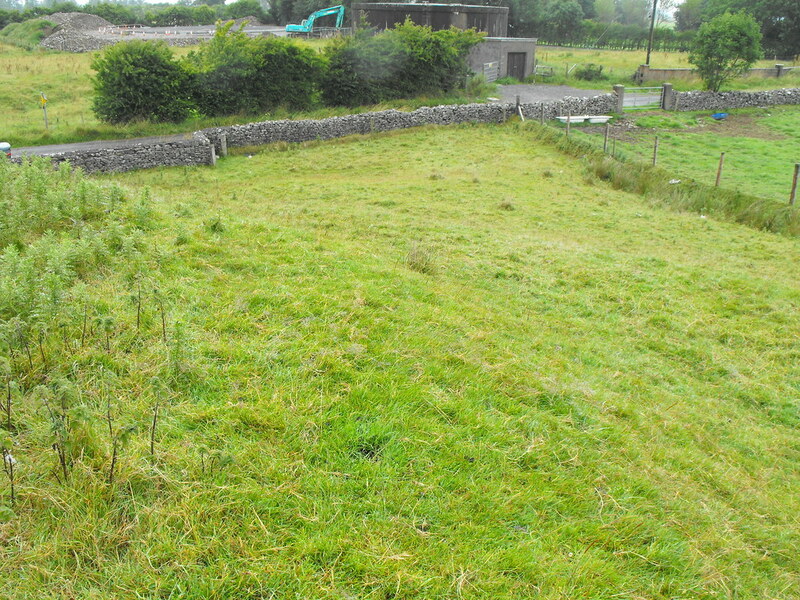 Rathbeg, Ring-Barrow, Toberrory, Co. Roscommon. 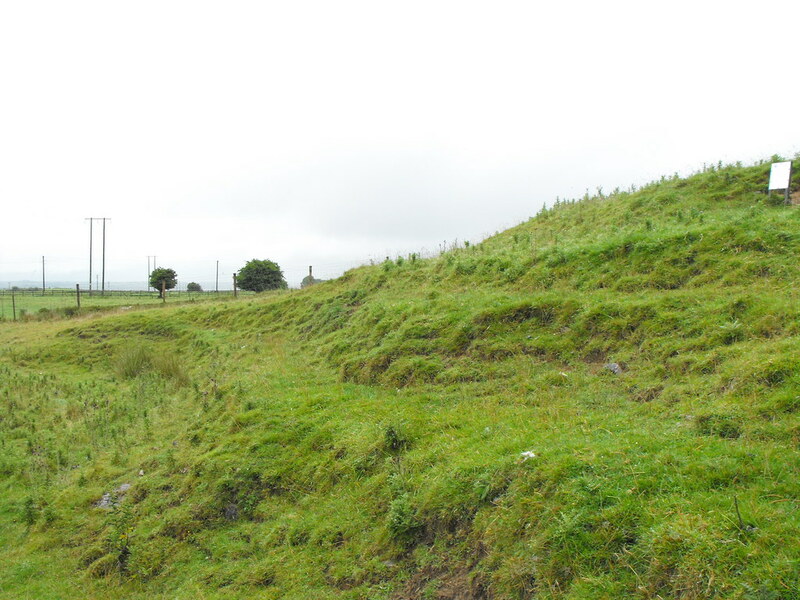 Location – Heading from the main Rath Cruachan mound, turn left at the Rathcroghan cross-roads and it is on your left. It is pretty big so you can’t miss it. 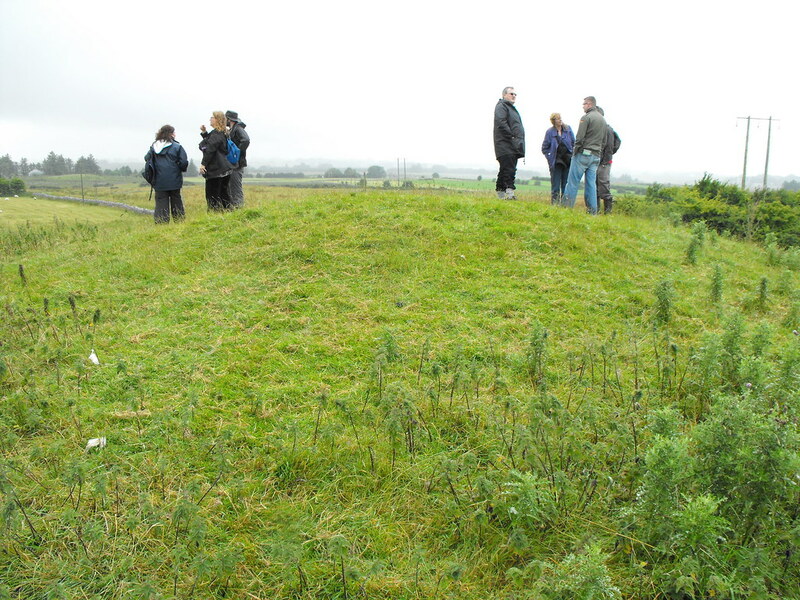 Description and History – This mound is pretty unusual for a ring-barrow and I think it may be misidentified. The mound is pretty large and several metres high. It may be a stepped-barrow. 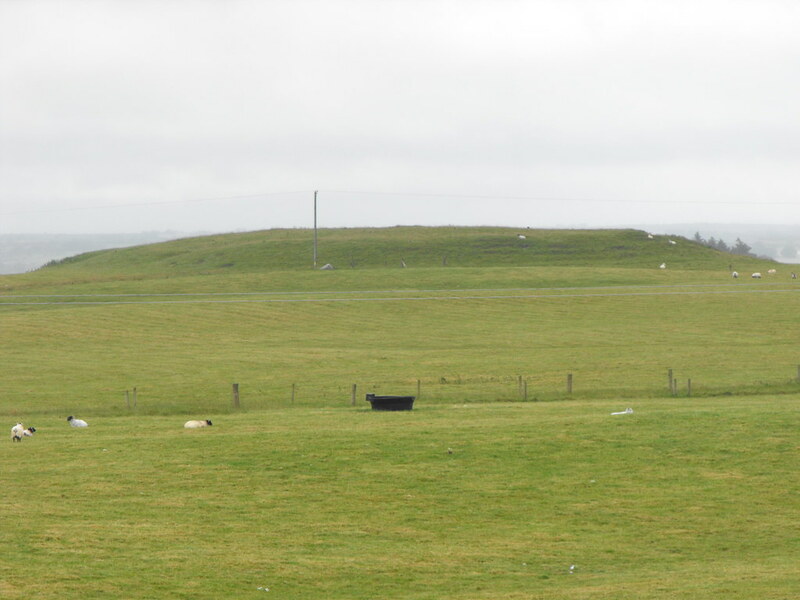 The mound has several tiers building up to the top where there is a small central cairn surrounded by small banks and ditched. The diameter of the mound in total is 36m. As from most of the nearby sites you can clearly see Rath Cruachan from here. Difficulty – Parking is a little tricky and you have to climb over a wall to gain access. It’s steep but not too hard to get around. You can clearly see the steps here. The sign in the top right hand corner is the sign that tells you it is a national monument. To me this is a really idiotic place to put it. To put this sign in they dug into the mound. It's a pretty tall mound. 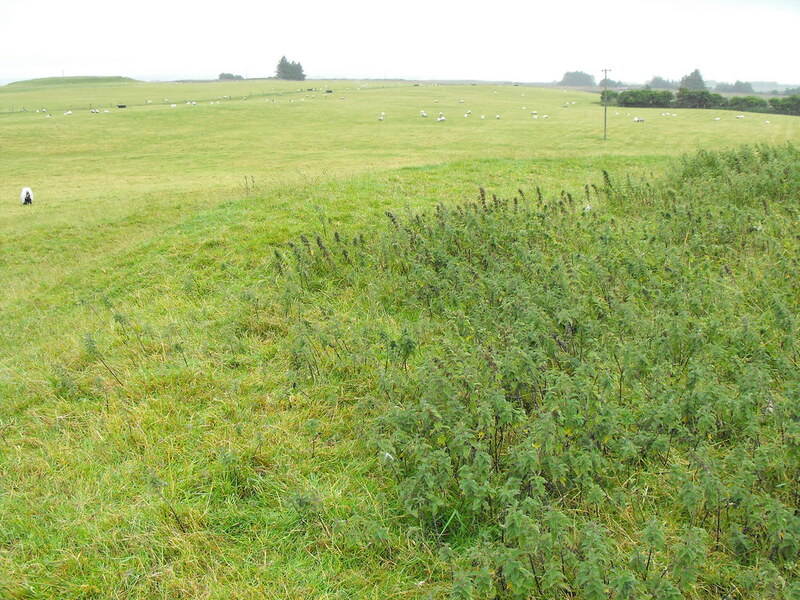 You can see the shape of the barrow here defined by the difference in vegetation. The very top of the mound. 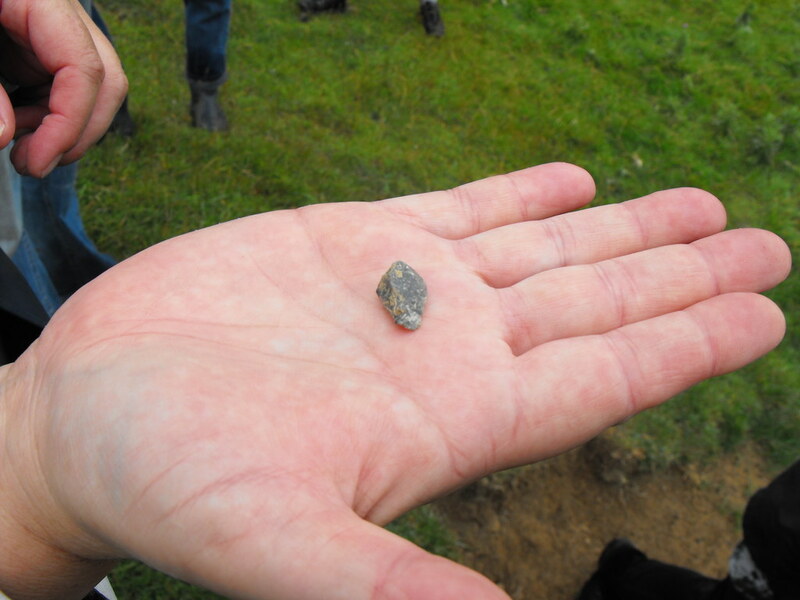 In the hole where the OPW sign is the archaeologist who was with us found some worked flint probably from the Bronze or Iron Age. Rath Cruachan is visible from here and Mileen Meva can be seen just to the right of the telegraph pole.